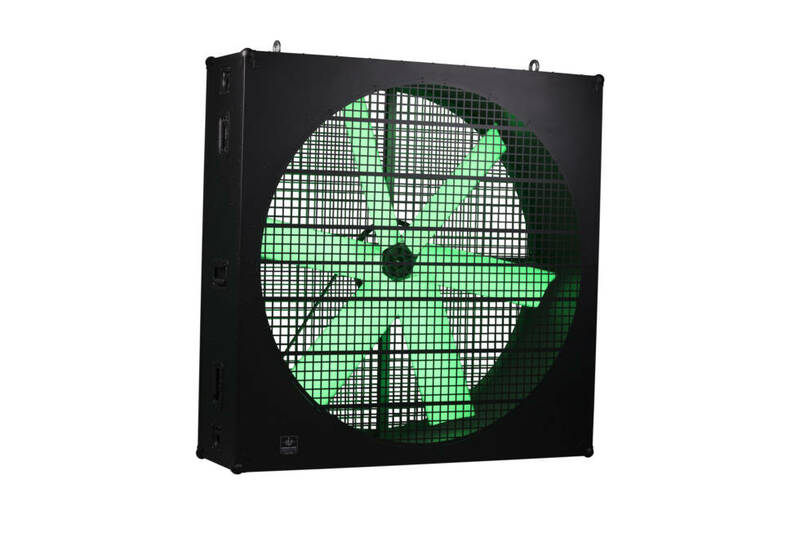 Measuring just over 4.5ft square, the Force 120 is a break from the traditional moving lights from GLP. The housing contains a large diameter variable speed fan which can run at speeds as low as 30 rpm, right up to 750 rpm and be able to switch from one extreme to the other at a super quick speed. Designed to create stunning scenic effects, or be used as a great air mover (or a combination of both), the Force 120 can look at home on any stage setting. 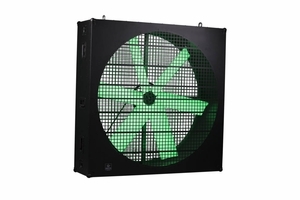 Internally, it features bands of LED tape which light the actual fan blades and can be controlled with differing levels of density, allowing multi-color projection onto the blades, or alternatively to turn them into a single striking element. The Force 120 has an auto sensing power input, a sturdy construction, built in transport wheels and multiple rigging points.